Iowa became the 29th state in 1846, and less than a year later, a temperance movement was starting to gain traction in the state. Over the course of the next 70 years, various levels of prohibition existed in the state, until 1916 when a statewide prohibition took effect, two years prior to the national prohibition. While Iowa battled on and off with a ban on alcohol, a few intrepid (and a few corrupt) individuals paved a path to brewing in the state. In 1859, John Kohl, along with two partners built the Minnie Creek Brewery in Anamosa city, with a statewide prohibition having ended just two years prior. The building still stands today and is listed in the National Historic Register as one of the few remaining example of early Iowan industry. Like the rest of the country, Iowa has come around on its stand towards prohibition. After leading the way to Prohibition, the residents of the state voted for the repeal of the 18th Amendment in 1933. Today, craft beer is a part of the Iowan culture, with a craft beer tent now part of the Iowa State Fair. This week, in the middle of our second heatwave in 3 weeks, we were able to get a slight break in a nice air conditioned space while we sampled 4 different brews from Iowa. 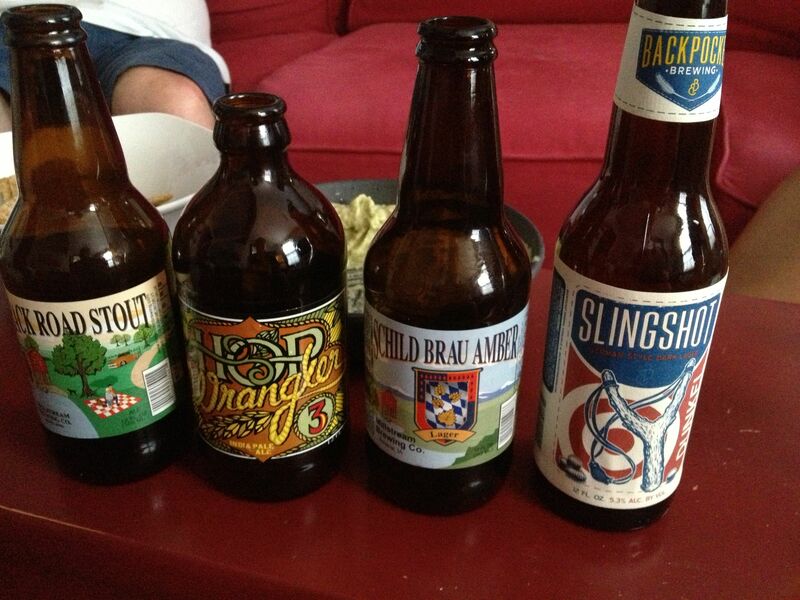 One from Peace Tree Brewing, 1 from Backpocket Brewing, and 2 from Millstream Brewing. We started the night off with the flagship brew from Millstream Brewery, a Schild Brau Amber. This beer is a Lager “brewed in the style of a Vienna Lager“, a style that originated in Austria, but is more prominently made in North America with Sam Adams Boston Lager and Dos Equis leading the pack. In the glass, the Schild Brau Amber was a nice golden honey / copper color, typical for this style of beer. Initially, the aroma was lacking, however after it warmed up a bit, I was getting hints of some interesting spices that reminded me of celery seeds. The taste of this beer was interesting and had more character than some of the leaders of this style. While it had a slightly sweet taste, it wasn’t too much and it didn’t linger, making this a sort of refreshing beer. 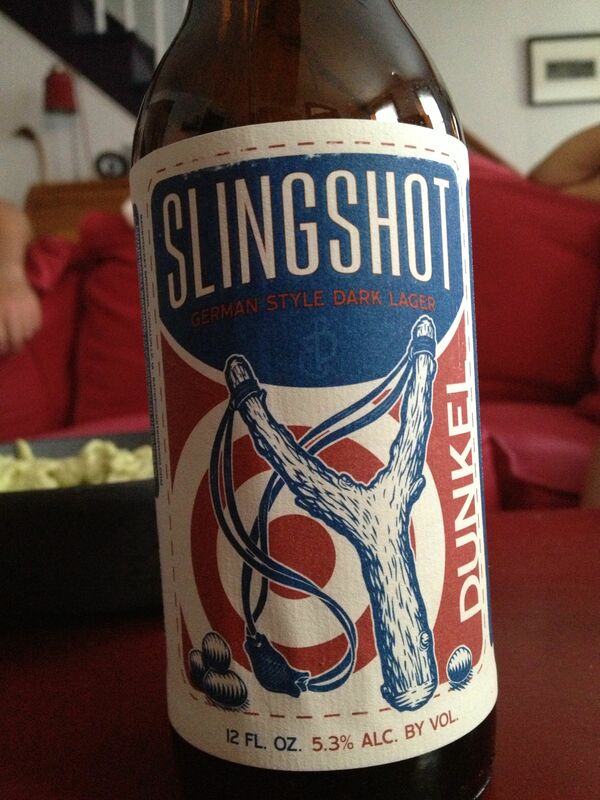 Moving on from the lager, we next opened the Slingshot Dunkel from Backpocket Brewing. In 1516, the German Purity Law, or Reinheitsgebot originated, restricting the ingredients of beer to: water, barley and hops (in the 1800s, yeast was included). The Slingshot Dunkel, a dark German lager, adheres to the Reinheitsgebot. Dunkel means dark in German, and in the glass, this beer lives up to its name. This beer had a minimal noise, with no distinguishing characteristics, and the taste was slightly smokey. Generating comments like, “this would be good with food” and “needs a Brat on the grill”, this beer was enjoyable, but felt more like a fall beer, not something to drink on a hot day. This beer won for the best label of the day. With its matte finish and simple color scheme, this label was one of the best we have seen recently and we were interested in seeing what else this brewery had. stout. 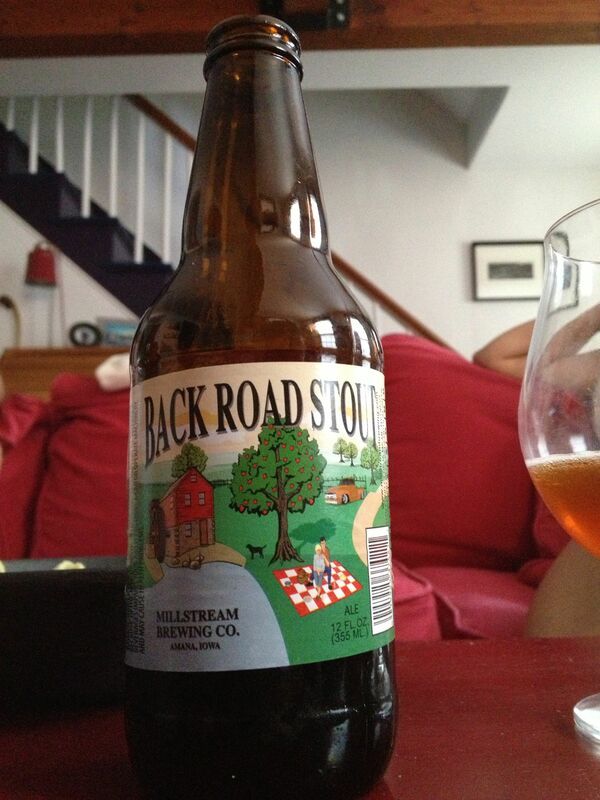 The Back Road Stout is brewed with 5% oatmeal in the milled grain, or grist, and that oatmeal stands out in the mouthfeel of this beer giving it a thick, roasted taste. The color of this beer was typical dark stout and it had a nice sweet and smokey aroma. Over this course of this project, I have enjoyed many nice stouts, and this one is up there with the enjoyable ones. The final beer of the night was from Peace Tree Brewing. Named after a 500 year old Sycamore tree, near the town of Red Rock, Peace Tree has a line of 4 regular brews and we had their Hop Wrangler. 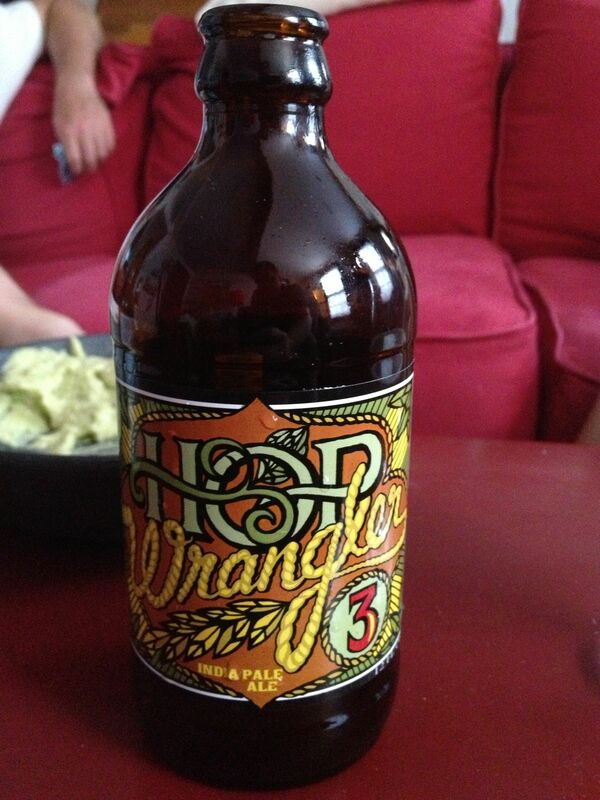 The Hop Wrangler is a multinational take on an IPA. This beer had a real heady pour, and was dark for an IPA. In the glass, it had a real fruity smell, with hints of lemons, oranges and tangerines. On the tongue, this beer was all carbonation. Too much carbonation for my taste. The finish was quite bitter. Starting off with an interesting aroma full of multiple citrus flavors, this beer was a let down with its over carbonation and bitter aftertaste. Overall, we enjoyed our little voyage into Iowa without have to leave New England. From our little sampling, it is clear there is some interesting brewing occurring in the state and I look forward to experiencing more. Come back next week for Wisconsin.